In the context in which these designs are mentioned it is implied that they were made for the horses of Francis I, although Rosso might have made such drawings for others as well (Carroll, 1987, 31). No such drawings or the trappings made from them survive, nor are there any pictorial representations of such objects by Rosso. 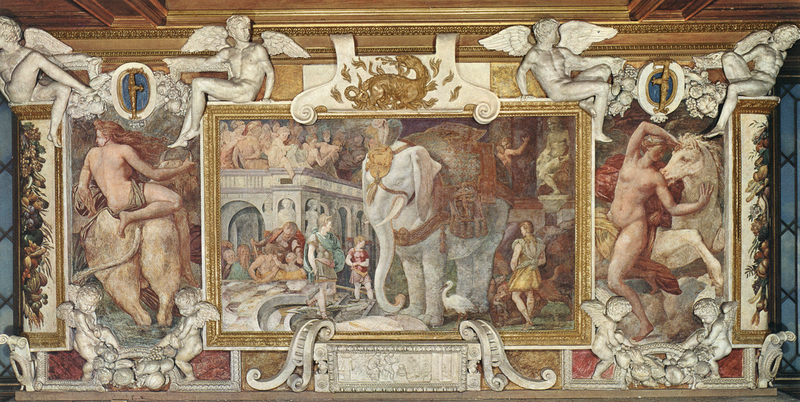 The only elaborate trappings by Rosso that are known are those of the elephant in the Royal Elephant in the Gallery of Francis I (Fig.P.22, VI N a), which might give some idea of what he designed for horses.